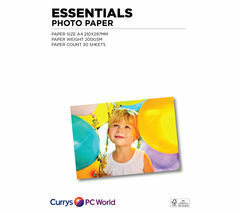 It’s handy to have a supply of paper ready when you need to print out important documents at home. There are tons of reasons you might need to use printer paper including making copies of contracts, or to print out maps when you won’t be able to connect to the internet. Keeping electronic copies is better for the environment, but there are always times you’ll need a physical paper copy. You can choose from glossy or matt finish paper and use it for anything from printing out holiday photos when you return home to train tickets and your itinerary before you jet off on your travels. 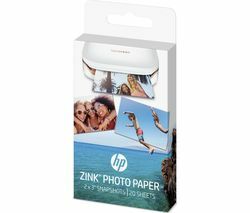 Printer paper comes in a variety of grades and qualities, from heavy duty 270gsm, premium quality glossy paper that’s perfect for reproducing colour photos to 75gsm paper that’s meant for everyday use with inkjet printers. Choose a matt finish when you want to create sharp, distinctive colour print-outs for your next business meeting. Check out a full range of Canon paper, where you’ll find Canon Top Colour Zero A4 Paper that’s been specifically designed for colour printing. 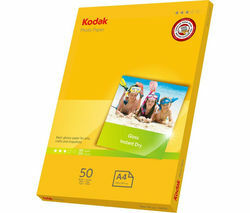 Or take a look at the high quality Kodak paper that’s perfect for printing your special photographs. 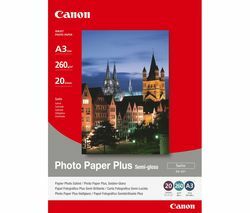 Whether you’re looking for everyday printer paper to use in your home office, or you want to reproduce copies of all your favourite memories on high quality photo paper, you’ll find what you need if take a look at our complete range of paper. At the same time why don't you look through our range of printers at Currys PC World?